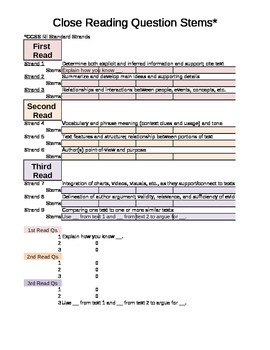 This Excel sheet allows teachers to create high DOK text-dependent questions for Close Reading activities. Save valuable time by plugging in your content information to the question stems. It allows you to create high-quality discussion questions in a matter of minutes. It covers all RI CCSS, from grades K-12.